Join us as we kick off the second annual Marin Comics Fest at the Cartoon Art Museum with cartoonists Alexis E. Fajardo (Kid Beowulf) and Alex Schumacher (Decades of (in)Experience). Both creators will be signing books and discussing their work from 2 to 4 p.m., in the Bil Keane Family Lobby. Admission for this event is free. In addition, those presenting a valid Marin County library card will receive free same-day admission to the museum galleries (one admission per card). To register for a library card, stop by any library branch in Marin County or visit https://marinet.lib.ca.us/. The Marin Comics Fest features a series free creator talks, demonstrations, and book signings at several venues around the county throughout the month of September. This year’s guest lineup includes Paige Braddock, Lisa Brown, Nidhi Chanani, Svetlana Chmakova, Ben Costa, Justin Greenwood, Nomi Kane, Ian Lendler, James Parks, Landry Q. Walker, and Judd Winick. Click here to see a complete schedule of events. 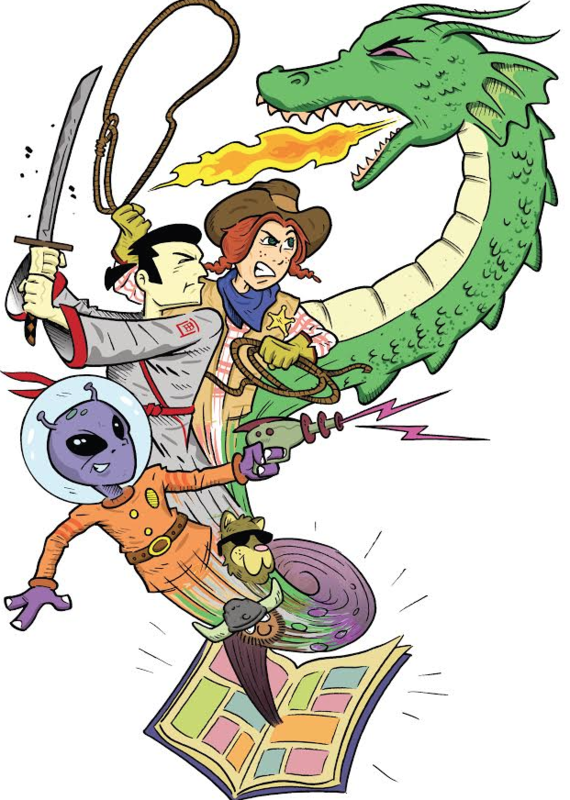 The Marin Comics Fest is sponsored by the libraries of Marin County and the Cartoon Art Museum.